I did have to learn early on that 1 click in any direction will not make a huge difference. I usually make a commitment of 4-8 clicks in the direction needed so I can see the adjustment I need. For outdoor not including 3D, I have found that the sun and wind are not necessarily your friend. During a full day tournament I will be making adjustments to my sight multiple times due to the change in the position of the sun. I never adjust for the wind, since this is not a constant, sometimes you have to wait out the wind. But for sun, depending on the position of the field and the direction we are shooting, I will make adjustments every hour to hour & half. During the course of a tournament you don’t have the luxury to shoot an extra 9 arrows to adjust your sight every hour, so you have to be conscience of the change in light and any change in your arrow placement. Make the adjustment as soon as you realize you are consistently shooting off your mark. The more you shoot and can recognize the difference in your shot the easier and earlier you will know to make the adjustment. After several years, I have to say never be afraid to move your sight. When I first started in archery I was always afraid I would mess something up and lose the tournament because I moved my sight. 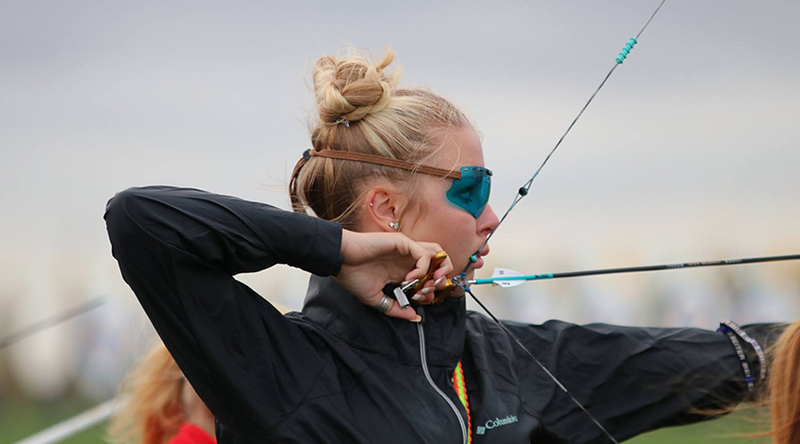 It wasn’t until much later that I grew the confidence to move my sight first instead of trying to adjust my head, my stance, my anchor, or my form overall.